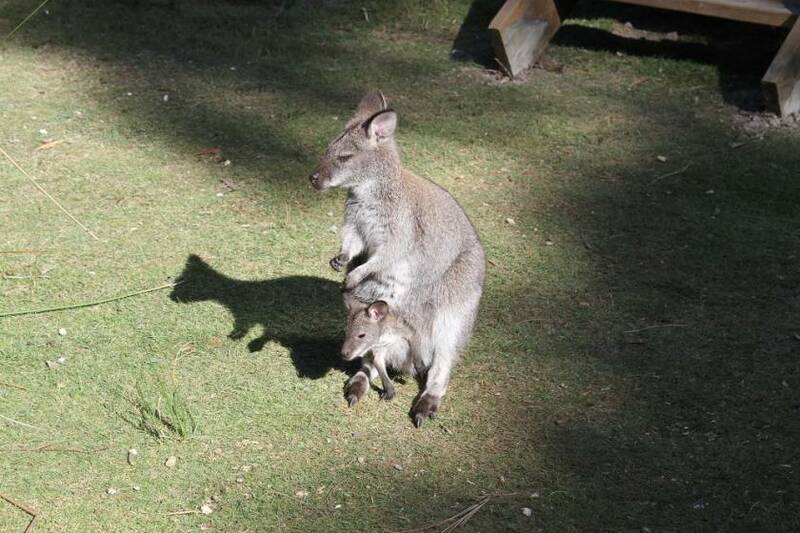 The Bennetts wallaby (Macropus rufogriseus), known as the red-neckedwallaby on mainland Australia, is one of the states's most commonly seen native animals. Visitors to most of our national parks are highly likely to encounter these animals during their stay. The species is largely solitary, although loose groups, known as mobs, often share common feeding areas. They feed at afternoon and dusk, generally grazing on grass and herbs. Wallabies damage crops and pastures in many parts of Tasmania and as a result can come into conflict with landowners.